Welcome to CHADD of Northern California, your resource for helping you and your child learn what attention deficit hyperactivity disorder (ADHD) is and what it isn’t. We will provide you with the tools and information that your child needs to fully develop his/her potential. It starts with getting the right diagnosis, finding the right treatment, getting help at school, and learning from others who have walked in your shoes. If you are an adult with ADHD, we also have resources for you (did you know that many parents of children with ADHD realize that they, too, have ADHD?). It’s never too late to start finding out how you can put your best self forward as you balance the challenges and rewards associated with ADHD. Let us help connect you with ADHD professionals and resources and, together, we can chart a path for the healthy growth of your loved one and, in the process, make life a little easier. Q: Is ADHD real and is it treatable? A: Take 90 seconds and watch this video. Q: My child has been diagnosed with ADHD; now what? A: The National Resource Center on ADHD has a health library of evidence-based information. If your child has recently been diagnosed with ADHD, we recommend that you start here. 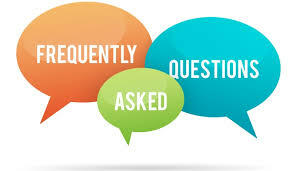 Q: How do I obtain help and special accommodations for my child in school? A: See Educational Rights for Children with ADHD in Public Schools. 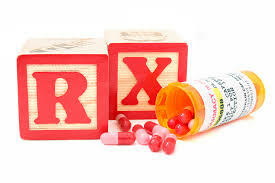 Q: I’m concerned about giving my child medication; what are the benefits/side effects? A: Read what CHADD has to say about ADHD medication. Q: I’m an adult and I think I may have ADHD. A: Read what we know about Adults and ADHD. Q: What is the best treatment for ADHD? A: Treatment often requires medical, educational, behavioral and psychological intervention. Read about treatment for children and adults. Q: Where can I find a medical professional that specializes in ADHD? A: Attend a CHADD support group meeting where others may share their personal opinions on providers that may be helpful to you, consult your health care provider to know who is covered under your health plan, or request info on ADHD professionals in No. CA (for CHADD members only). 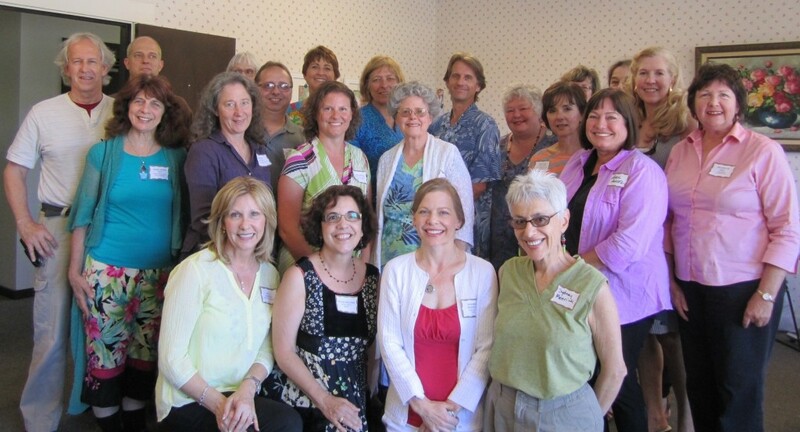 Q: Why should I attend a CHADD support group meeting? A: Here are just a few reasons…There are fewer distractions at a meeting, so you’ll have the opportunity to immerse yourself in ADHD information and support; you’ll meet other people who understand the impact of ADHD on your life; some aspects of the ADHD journey are predictable and we can help prepare you for the next stage; you can get feedback on area specialists; and CHADD meetings are free (although we appreciate donations). You have nothing to lose by trying us out. Q: Is there a CHADD support group near me? 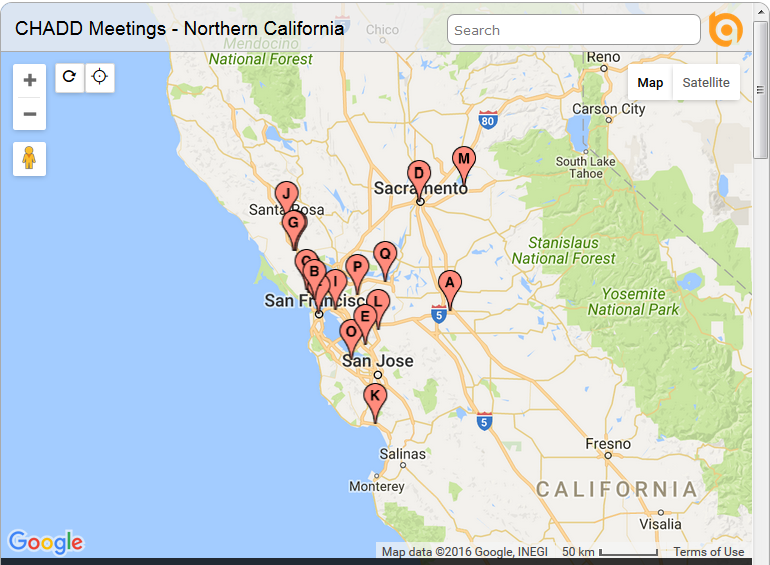 A: We have support group meetings throughout Northern California in San Francisco, The North Bay, East Bay, The Peninsula, Sacramento, and the Santa Cruz area. Find a local CHADD support group near you. AND, if you don’t see a group in your area and are interested in starting one, contact our Chapter. Q: How can I help my spouse/significant other with ADHD? A:Attend the Silicon Valley “Partners of Adults with ADHD Group” meeting held each month on the 2nd Tuesday, in Palo Alto for the partners of adults with ADHD. Q: How can I learn more about parenting a child with ADHD? A: Get info here on Parent to Parent training sessions. What is ADHD or ADD? Join CHADD now to start receiving all of the benefits of membership, including a subscription to Attention magazine. Check out the benefits of joining CHADD.